Your Charades are SOOOO cute! I feel the same as Karen. The brown look like they would go more, but the red is so CUTE! 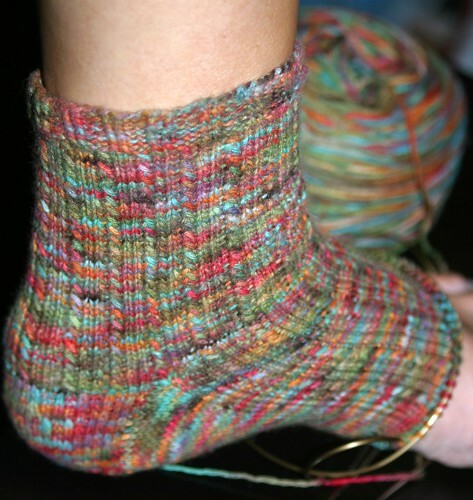 The Charade sock looks fantastic in your yarn! Wow! As for the shoes, you know I have both the brown and the black. 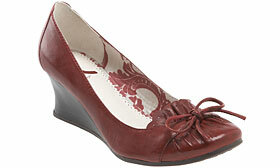 But the only reason I didn’t consider the red is because I already have a great pair of red shoes. Every girl needs a pair of stunning red shoes! I know this is the boring answer, but I would buy the brown. I speak from personal experience. I’ve got a fabulous pair of red shoes, but everytime I put them on, they don’t seem to work with the outfit and I pull out the brown or black. I’m loving the Charades! They look wonderful in that yarn. 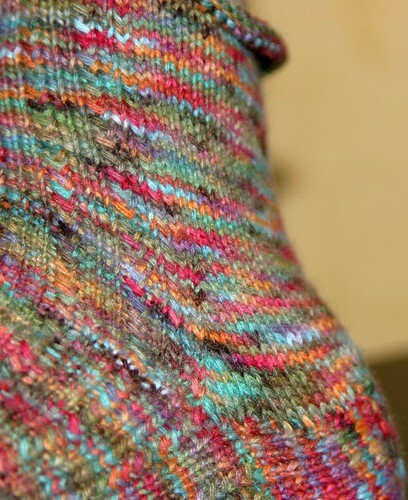 The yarn/sock is beautiful. 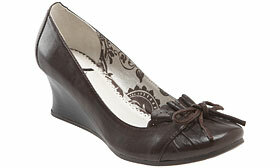 I would so wear ’em! Your socks are looking lovely! I love how the yarn works up! That is really cool yarn! How do you dye it? I’ve always wanted to try dyeing yarn, but I’ve only ever heard of Kool-aid dyes, and I’m not really a fan of the bright colors.